Glue Dotsâ„¢ for Candles are a double-sided, pressure sensitive adhesive specially formulated for holding wick tabs inside jars and containers. Not available from supplier until September. To use, simply place the pre-tabbed wick against the Glue Dot, peel away from the liner and press into place inside the container of your choice. Fast! Safe! Easy to use! Bonds instantly! 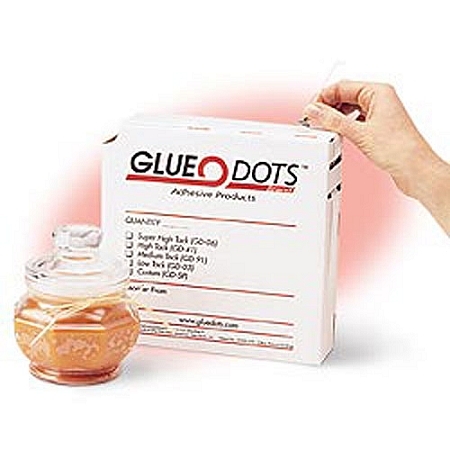 Eliminate hot glue burns! For more information, click here.